Anyway, here's what a day's eating looks like for me. 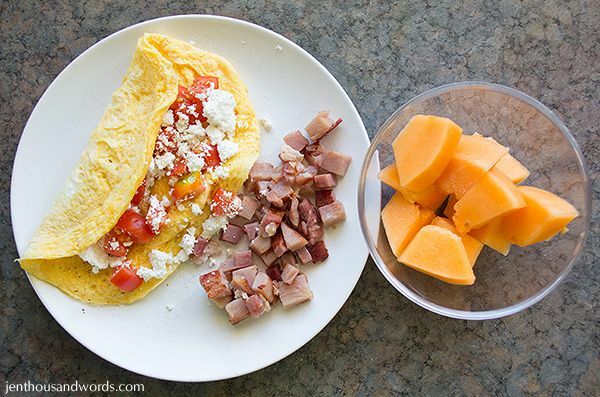 Omelet with goat's cheese and fresh tomato (from our garden) with some sauteed ham; melon. 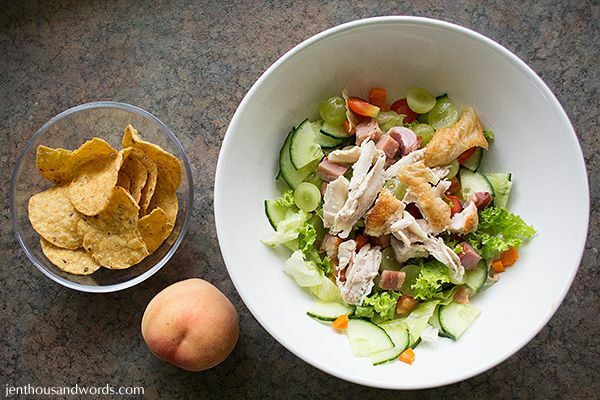 Salad (iceberg and curly lettuce, tomato, cucumber, grapes, carrot, chicken and ham); corn chips; a coconut peach. 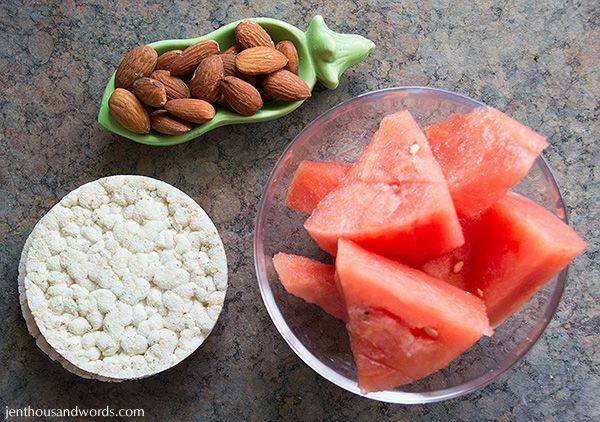 Roasted almonds, two rice cakes and some watermelon. 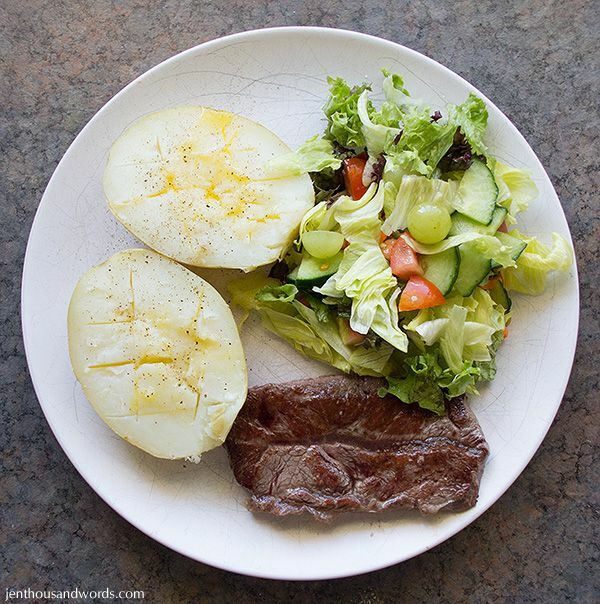 Microwaved potato with a little butter (I only ate two-thirds of it), steak, salad. 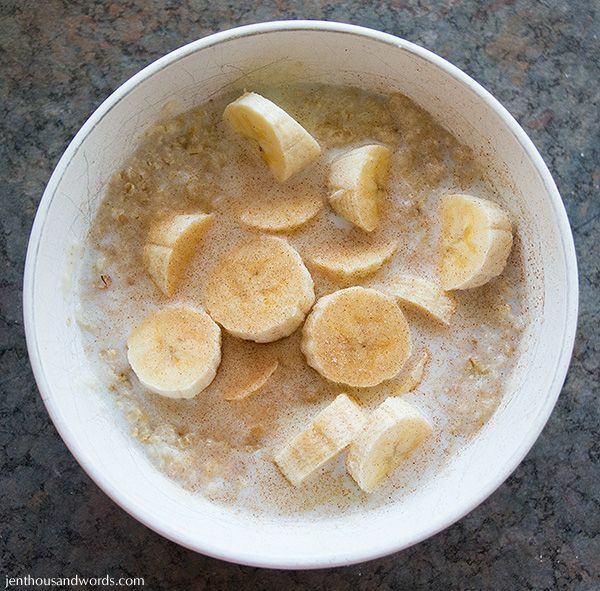 Oats porridge with a banana and a little cinnamon sugar.